LSN is a matching platform for early stage drugs, devices, diagnostics and healthcare IT and those partners who seek to invest in them. 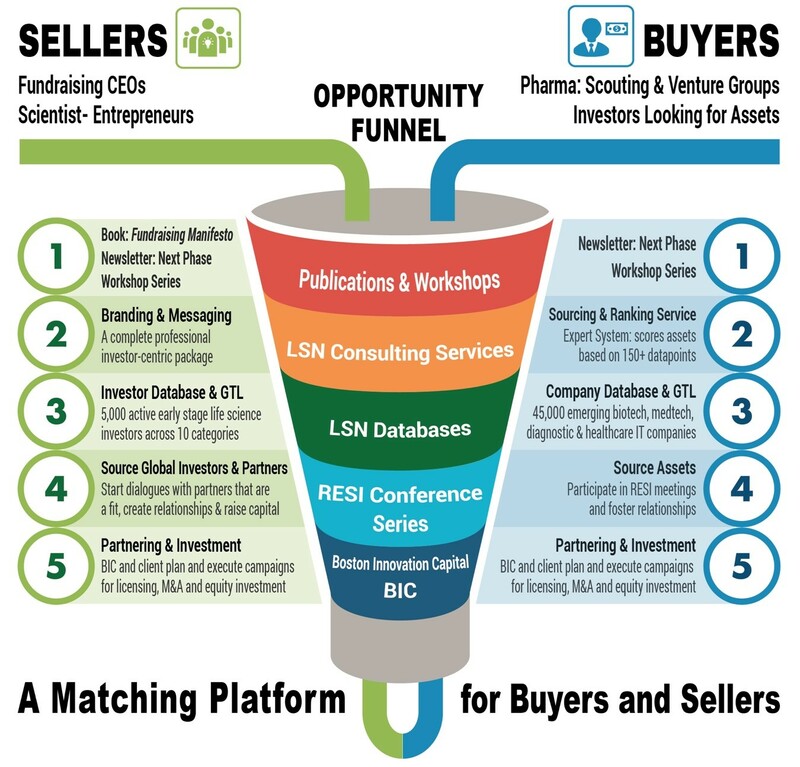 LSN has taken 5 years and 25 staff to develop an integrated partnering and funding platform that fulfils a significant unmet need that players in the life science ecosystem have faced – how to find relevant matches and start a dialogue that uncovers a mutual fit that leads to a successful investment transaction. Many of LSN’s global strategic partners have been aided–either directly or indirectly—in enhancing their pipelines and product offerings with this platform. In these cases, LSN acts as key information source, a feeder of technology assets, or as a catalyst for creating and executing opportunities for new revenue channels. LSN created a fully integrated platform of interrelated products and services that enable buyers (pharma, medical device, equity investors), and sellers (early stage life science companies) to connect based on mutual fit. 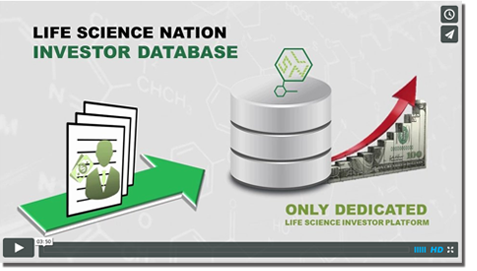 Using this suite of products and services, LSN can source, vet, rank, package and introduce companies to potential partners with an unrivaled reach in the early stage life science arena. Buyers can find technology assets and sellers can find compelling partners that are a fit for their stage of development and products. LSN’s integrated product and services can be mixed and matched to fill your firm’s development needs, providing more efficiency to your projects. Be it sourcing, vetting, ranking, introducing partners, creating global road trips, licensing, M&A or equity investment, LSN products can be configured to match any client’s needs. They can buy the LSN investor database and create a list of investors to go pursue (Global Target List). Early-stage companies can also go to our RESI conferences that take place every 2.5 months throughout venues in North America and arrange to meet global investors there. They can use the database and the RESI conferences in combination. This is the optimal approach that has been quite successful for the buyers and sellers in the market place. Generating a list of Global Investor Targets that are a fit from the database and then meeting them at RESI conferences should easily produces a hundred or more meetings a year. The ultimate choice is to partner with Boston Innovation Capital (BIC), LSN’s Investment Bank, which will conduct fundraising campaigns for early-stage companies by using the database, RESI conferences, and the BIC partner network and set up the meetings and road trips for you. BIC uses all of the LSN’s IP and produces numerous meetings and increases the probability of fundraising success for select clients. ← Partnering Accelerates – Don’t Get Left Behind!